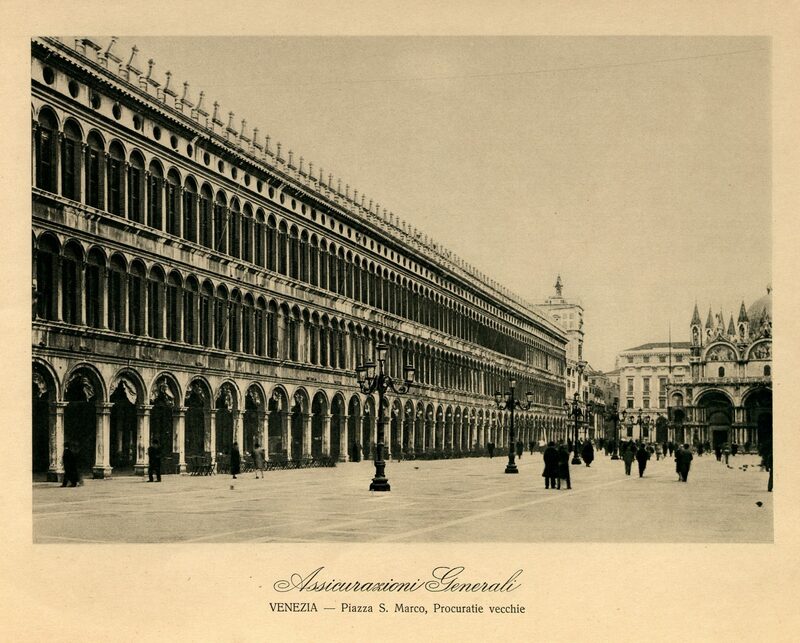 Our first thematic gallery draws inspiration from a small photo album from the 1930s found in the archive, which covers 89 prestigious buildings purchased by Generali in the major Italian and European cities. 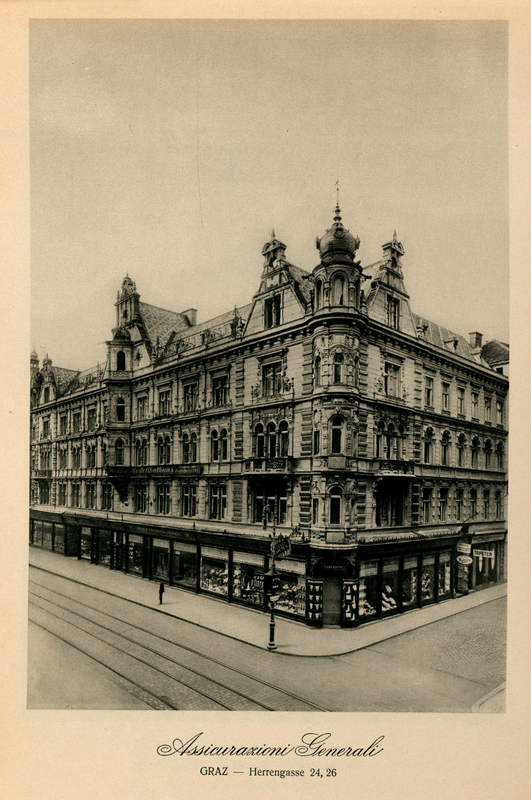 Check out the images that testify to the far-sighted real estate policy of the Group. 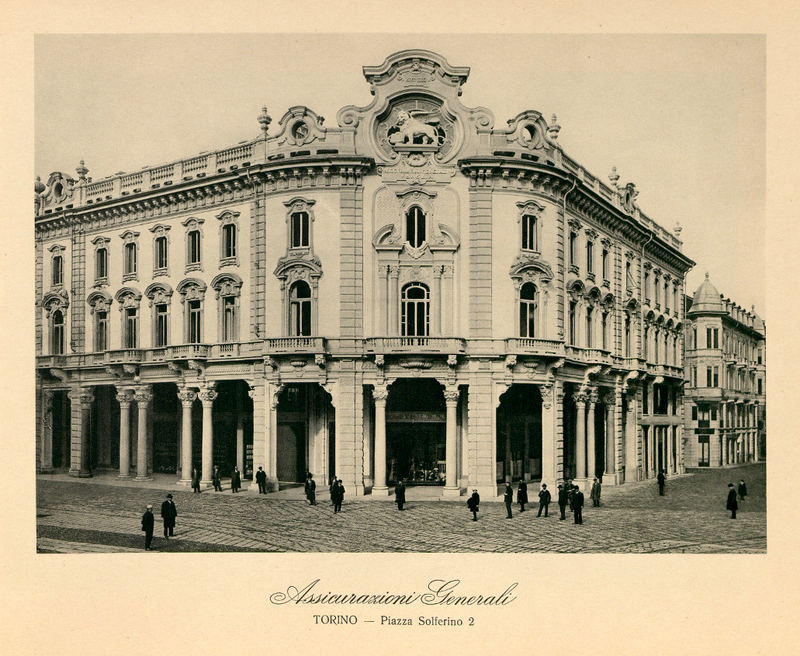 ” I required […] that Assicurazioni Generali choose the most conspicuous lots in our major cities to build its headquarters”. 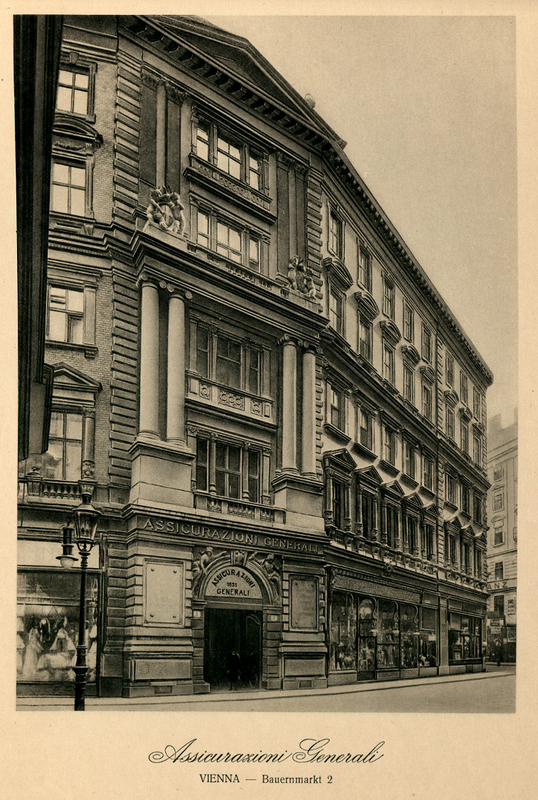 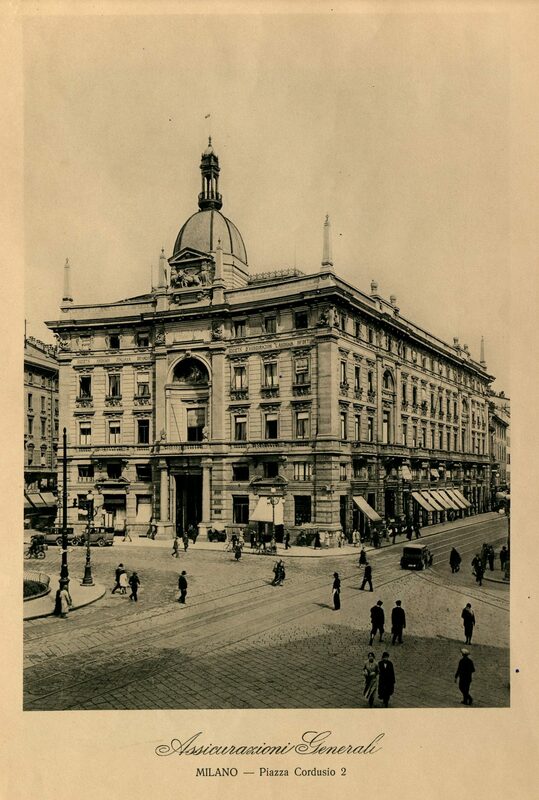 Thus wrote Chairman Marco Besso in his Autobiografia, published in 1925, testifying to the significance of Generali’s real estate policy, the presence of which was also tangible from an architectural point of view in the main cities. 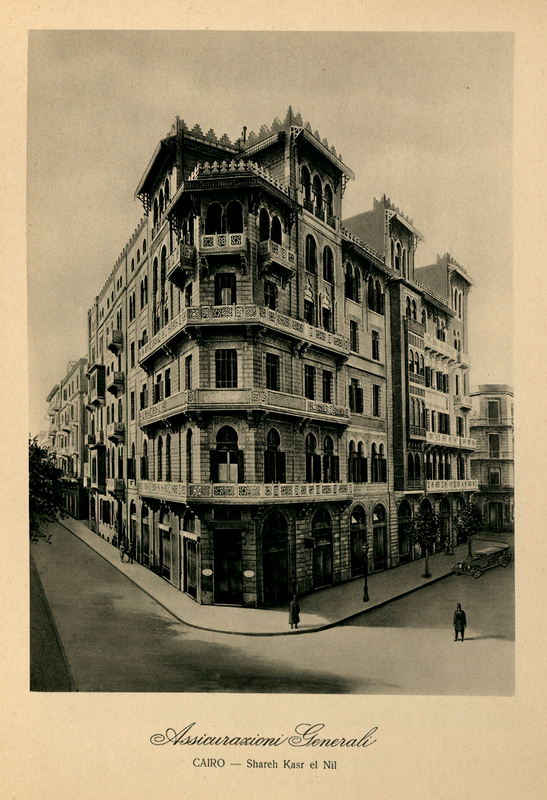 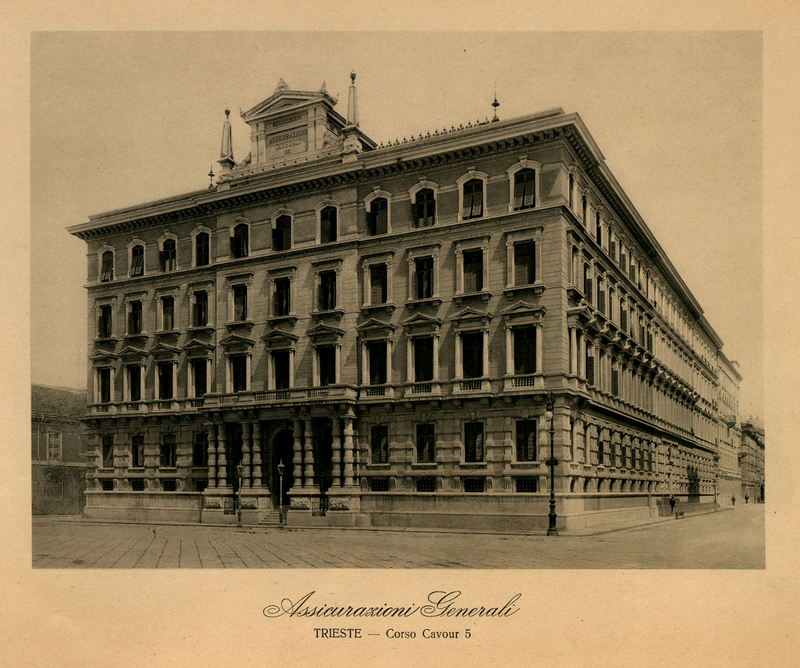 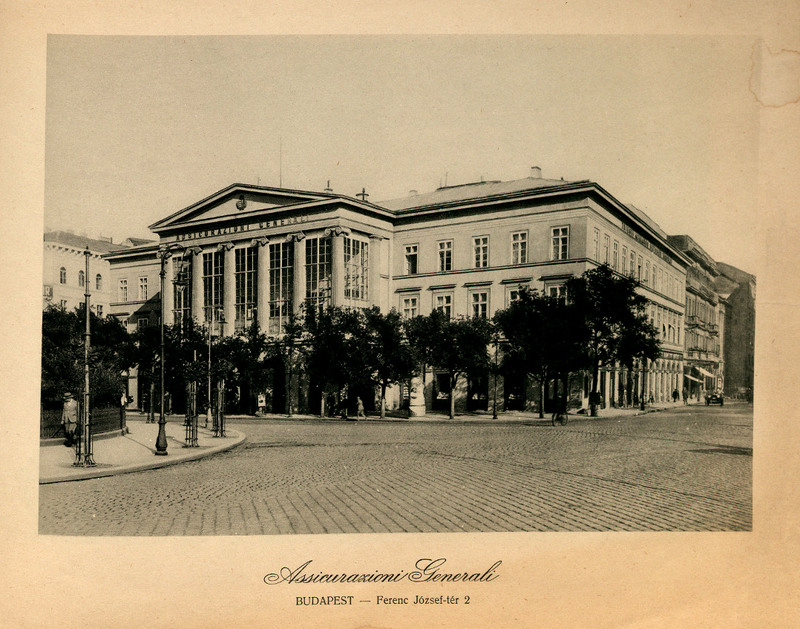 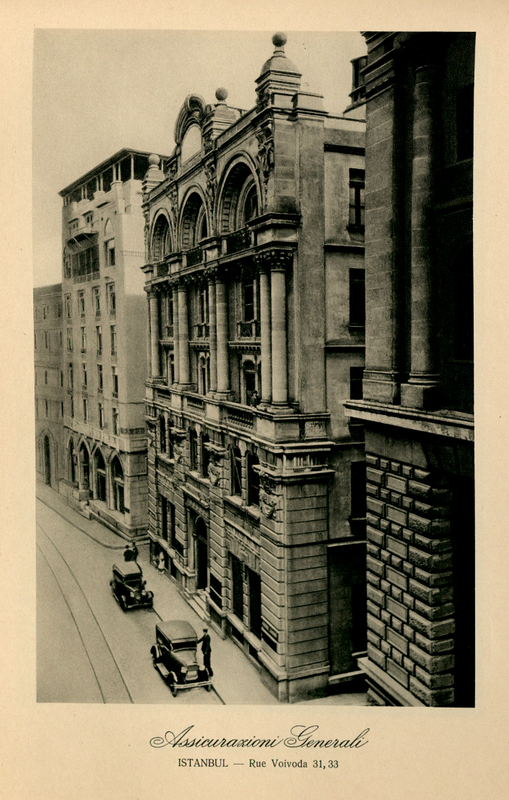 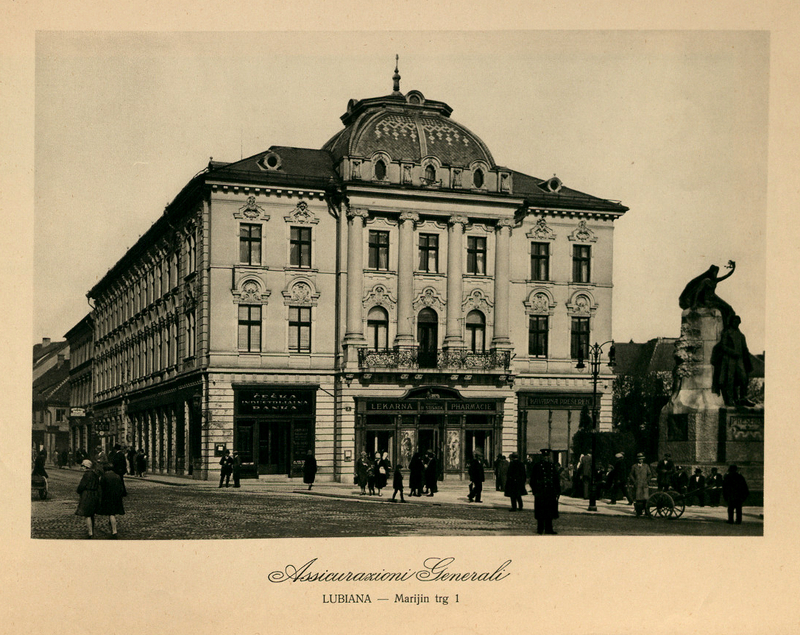 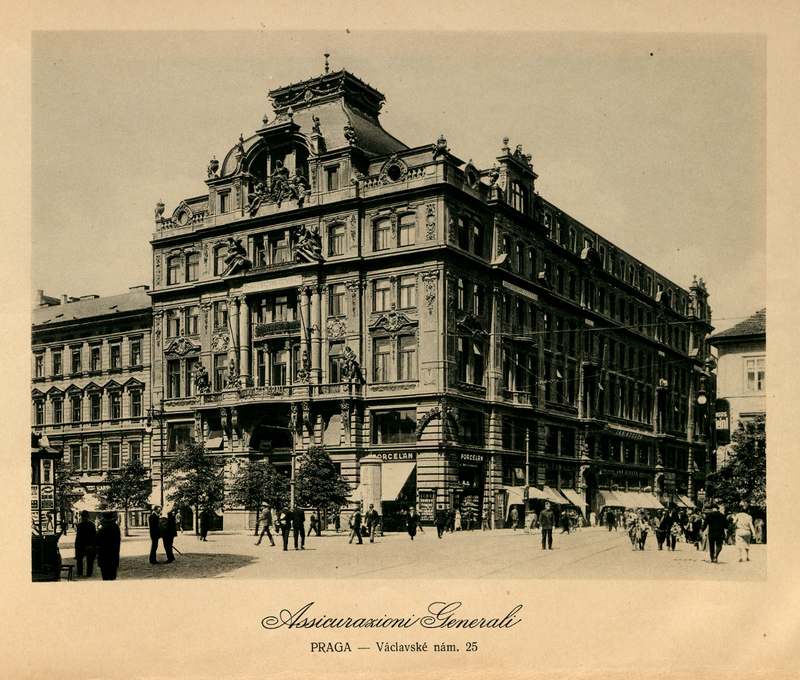 From the outset, and also for the technical reserves guaranteeing insurance policies, the company invested in prestigious buildings located in major Italian and international squares, purchased or built by Generali, which relied on famous architects and engineers for their realisation. 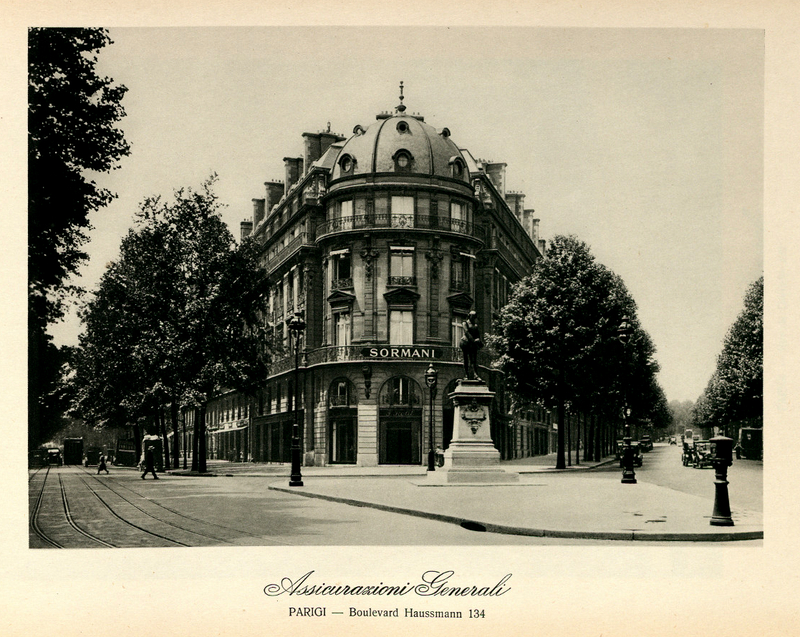 The real estate consolidated over the years, under the direction of Besso himself, and became a vehicle of identity for the company. 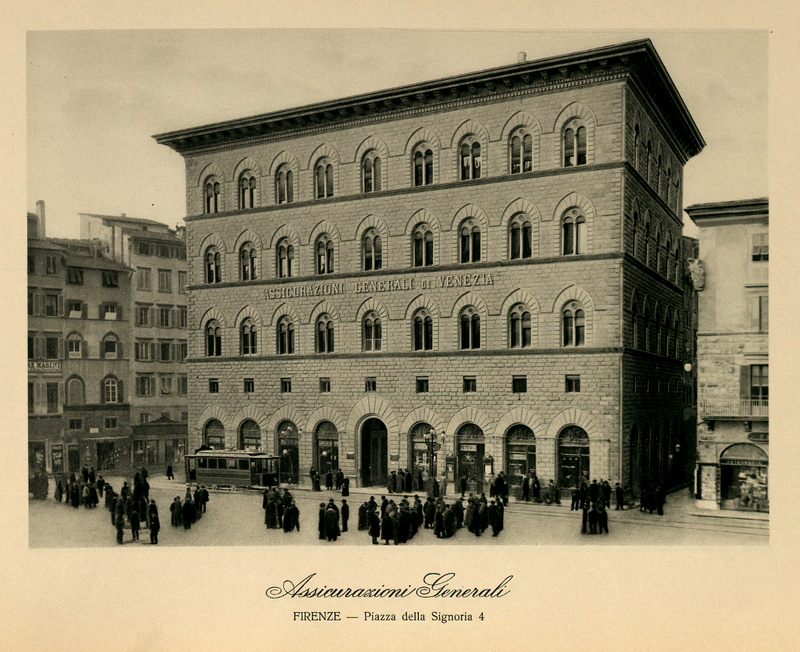 In the 1930s, for example, a small photo album was published, reproducing the most significant real estate owned in Italy and Europe. 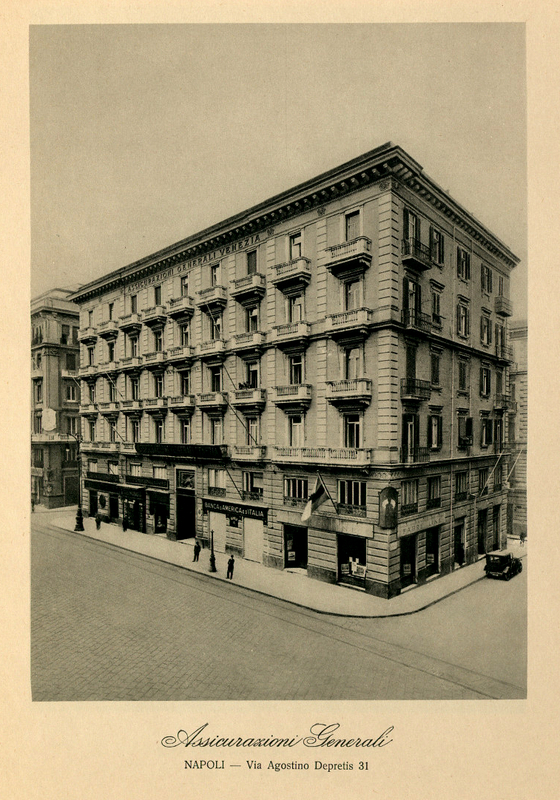 Bound with a silk ribbon, it contains a series of images of Generali’s 89 buildings. 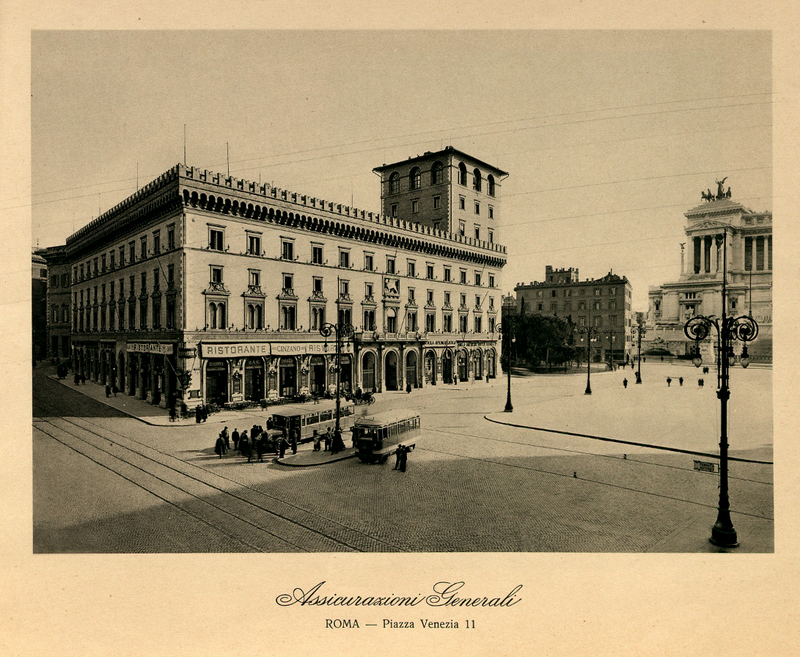 The story of this album, the cover of which carries the title Novo incepto saeculo, and in one case Assicurazioni Generali Immobili di proprietà della Compagnia (Assicurazioni Generali: the Company’s real estate) , remains partly mysterious because there are several versions, one certainly from 1934, while other examples with fewer images of European cities could be dated to the late 1940s when Generali lost its properties in Eastern Europe following nationalisation in the countries under the Soviet area.